We have been promised “blood rain” today. I don’t even know what that means. My fantasy of heavily-laden branches of blood oranges suddenly filling my garden seems optimistic. 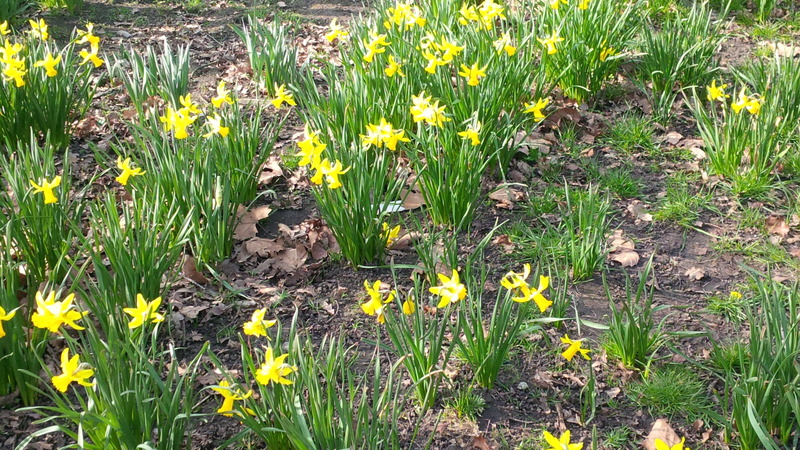 But this is one of the pleasures of a London spring. Bizarre and often horrific weather weaving through a scattering of blissful, beautiful, clear-sky days. Days that make us whip off our winter clothes and crowd knee to shoulder on the Common, sun-deprived skin helpless to the power of the rays. When we line up chairs along busy, traffic congested roadways and drink coffee, insisting it is “just like Italy.” When we paint our toenails and don footwear so flimsy and exposing our feet blacken with the grime of the street. When cheeky ice-cream trucks park outside school gates and even the microbiotic mothers can’t resist a Flake 99 or two. And just when our bodies are relaxing into what we believe will be “the summer,” it goes. Boots, scarves, unrelenting rain and dashed hopes return. “Just a taste, never a meal,” so says my childrens’ wise orthodontist on the subject of English sunshine. But through it all remains one constant. 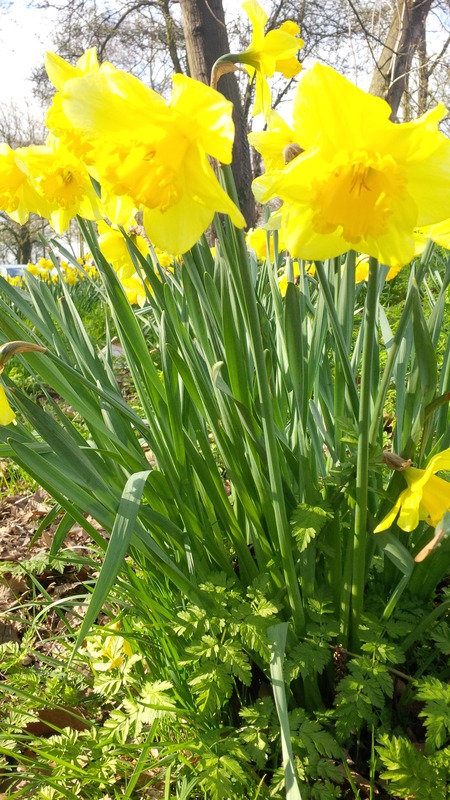 A constant for which I am so grateful I don’t mind the hay fever and confusing wardrobe corrections and the fact that sunlight just shows how badly I need my windows cleaned, because London spring, if only a date on the calendar, means the overnight explosion of daffodils. Everywhere. 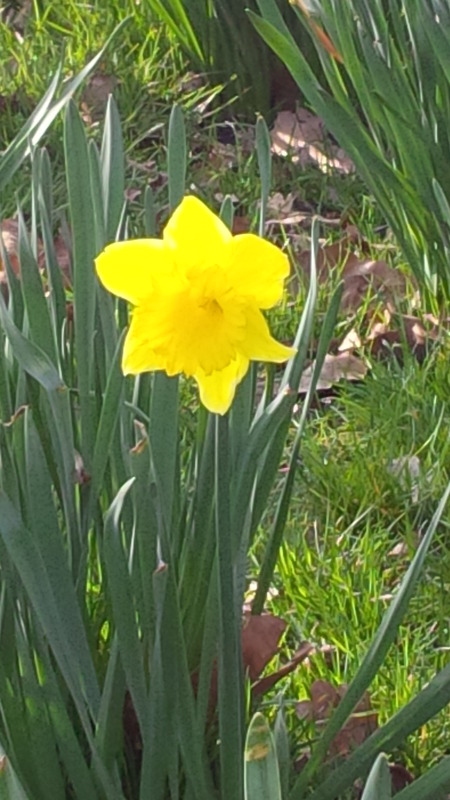 Daffodils are my favourite flower. I love them because they are unusual looking and have such a lovely light scent and, unlike roses and tulips, only make a brief visit. I love the way they pop up here and there, as if purposely bringing random joy to otherwise empty space. I fill my house with them. I stop and admire them on the Common, in stranger’s gardens, in slightly sad little attempts at colour round traffic signals. I love that they are tall and yellow and seem to challenge the idea of acceptable flower beauty. And I love them because they remind me of working in the art gallery in St. Louis when I was in university and they bloomed everywhere. The pretentious print-expert insisted on calling them “jonquils” and I was full of hopes and dreams and ambition….all of which seem gentle now, as my life is even more than my 20 year old imagination could have hoped it to be. I am not one for nostalgia, but it is a gift to be reminded how nicely things have turned out. 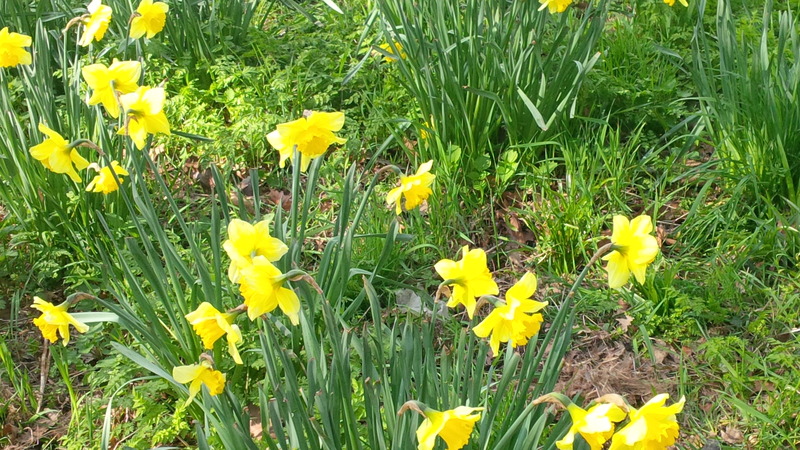 I suppose I should now recite, in a loud and pompous voice, the ultimate ode to the daffodil. Alas, I only know the first line; Wordsworth is far too clever for me. But yes, there is certainly something about this flower that brings us lonely, wandering clouds a bit of joy. Even in a downpour of blood rain on dirty, city pavement.